The EU must be open for business! Entrepreneurs gathered in the European Parliament in Brussels today (10 October 2018) for the fifth edition of the European Parliament of Enterprises, the largest exercise at European level in economic democracy. 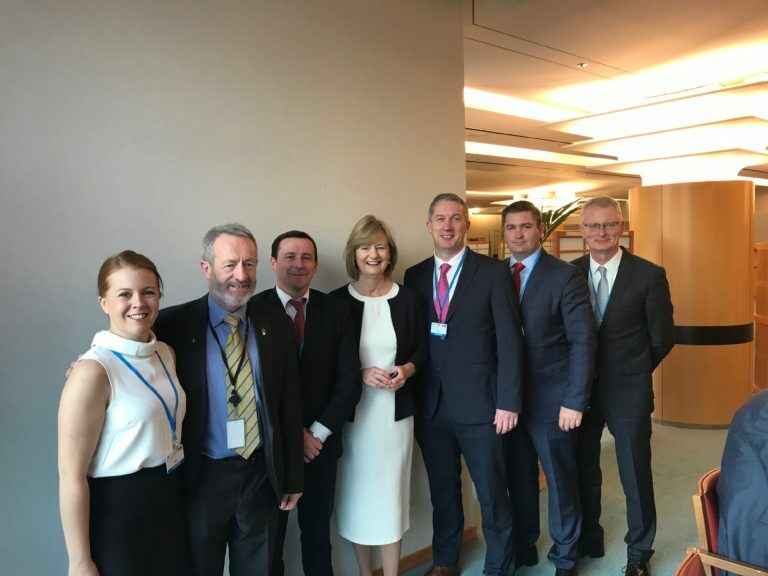 Twelve entrepreneurs, representing Chambers across the county formed part of the Irish delegation, to include Wexford Chamber President Niall Reck, Vice President Graham Scallan and Immediate Past President Karl Fitzpatrick. For further information contact Gabriel Doran, Chambers Ireland on 01 400 4331, 086 6081605 or email gabriel.doran@chambers.ie.